The UNM Health System LGBT (lesbian, gay, bisexual and transgender) Collaborative is an employee resource group formed in 2011 under the Office of Diversity, Equity and Inclusion (DEI).It is open to the entire UNM Health System and includes community partner representation from the UNM LGBTQ Resource Center and the Transgender Resource Center of New Mexico. The LGBT Collaborative supports our mission to focus on the health and well-being of the diverse communities we serve and works on initiatives that create an environment that supports LGBT employees, patients, families, friends and allies. As part of this effort, the Collaborative participates in various LGBT-centered activities and events throughout the year. UNMH’s patient bill of rights states that you have the right to the care you need regardless of gender identity or sexual orientation. (UNM Sandoval Regional Medical Center’s patient bill of rights states this as well). 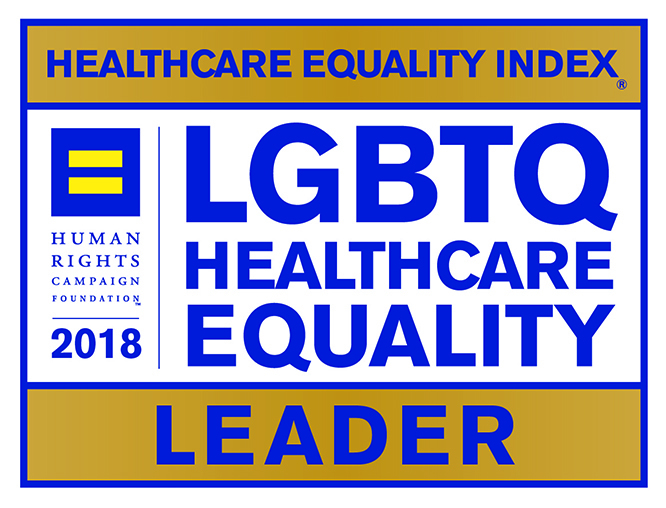 Key staffers receive Healthcare Equality Index-approved training in LGBT patient-centered care. THE DEI office partners with the UNM LGBTQ Resource Center and New Mexico Transgender Resource Center of New Mexico to provide education and training on LGBT patient-centered care. Providers, healthcare team members and staff learn how to care for LGBT patients with a culturally humble approach through the class "Caring for the LGBT Community." Staffers also discuss terminology and history and hear the stories of LGBT individuals and allies through an LGBT panel during the course. UNM Hospitals partners with the UNM LGBTQ Resource Center to conduct "Safe Zone" Training several times per year. This four-hour training course educates staff and clinician faculty on how to be an ally and address negative emotions. Individuals who complete this training can mark their offices or work spaces with a "Safe Zone" sticker, showing patients that these locations are safe spaces for them. Doing so also provides a greater sense of safety and support among LGBTQ individuals in the hospital. As a community member or representative of UNM Health, you may visit LGBT Collaborative meetings to network, offer support or get involved with activities.